March 13, 2017 February 24, 2018 - by Samuel - 2 Comments. How to make your K-Series engine scream? Straight pipe. Ok, no. We don't want our car to sound like a tractor in idle. Better option? Mount a Skunk2 Megapower Catback! 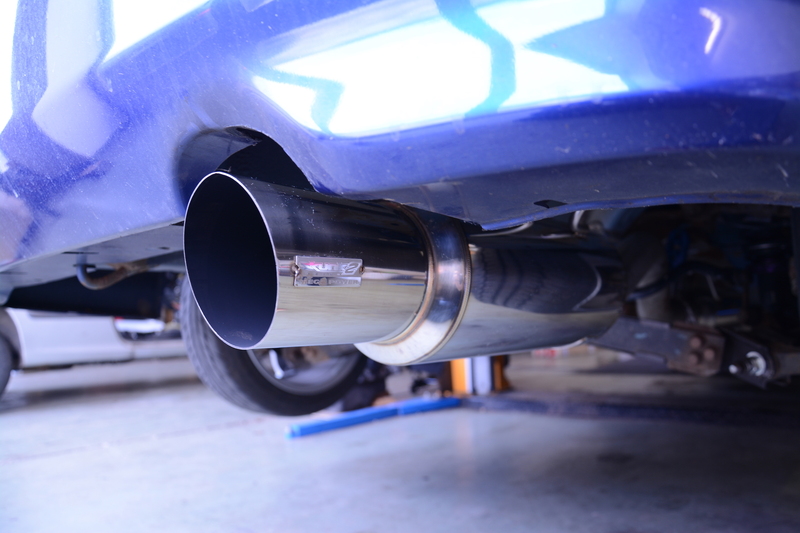 We chose that exhaust system for our K20 powered Honda Civic EM2 since Skunk2 offers plug & play catbacks for this model if it's powered by a D-Series engine. 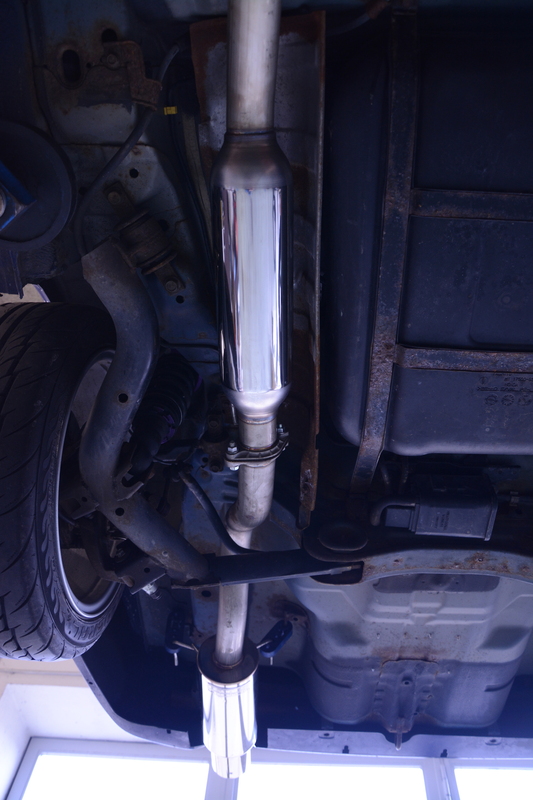 A small cutting and welding session later and the exhaust was successfully connected to the K20 header. 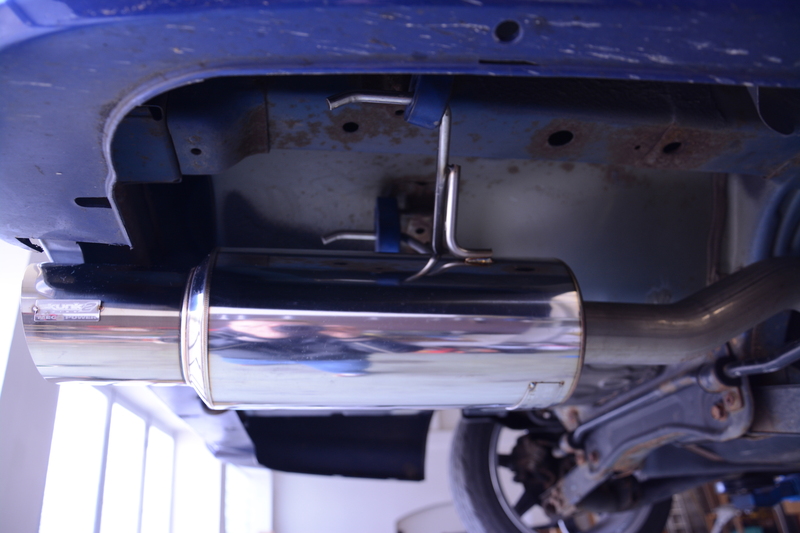 The exhaust system consists of two silencers and is made of stainless steel. At least Skunk2 maintains that. The connecting pipes between the silencers seem to be made of low-quality steel. We found a few rust spots although the exhaust was new when it was mounted and the car was driven on wet streets only a few times. All this is rounded off by a 110 mm tailpipe. Skunk2 offers the catback with different diameter sizes, the biggest one we found for the EM2 was 60 mm. We recommend this size at least on a K20 powered car. 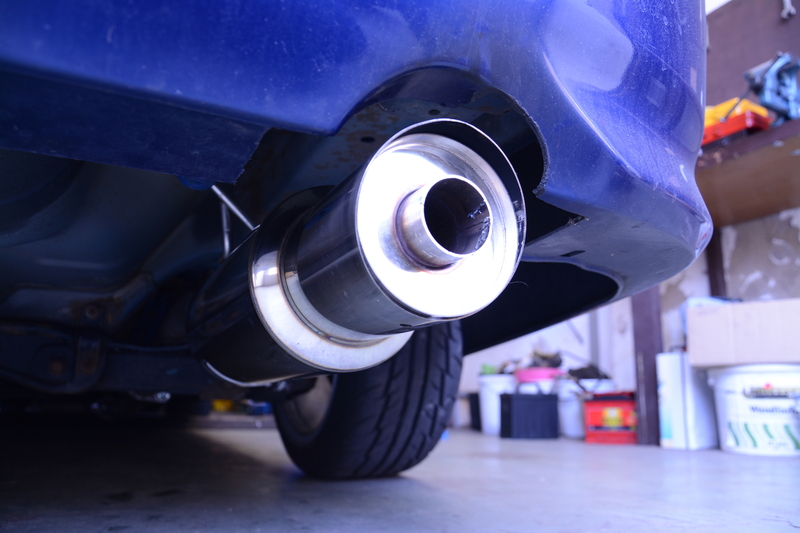 A smaller exhaust diameter has a negative effect on the exhaust gases flow and the engine can't run at its full potential. The perfect size would be about 3″ (70 mm). There is no need of any bigger diameter if you run your engine natural aspirated. If the engine is boosted, a larger diameter makes sense. The sound is brutal loud and aggressive. If you care about the relationship to your neighbour(s) we recommend to insert the provided silencer when you leave your home in the morning. It's a small pipe with additional insulation wool and a little outlet. The amazing look of your huge tailpipe is ruined successfully. You can't wait to hear the K20 screaming through the pipe, can you? Previous Article Planning A K-Swap – Where To Start? Well done! Excellent job. Respect!! Also watched your K20 swap.